This is one of three very successful ‘operationally focussed’ conferences and exhibitions organise by WIOA annually. WIOA Corporate Members are provided advanced notification of the date trade site sales commence as well as significant discounts on the cost of trade sites. The Australian Society of Sugar Cane Technologists (ASSCT) is a ‘microcosm’ of the Australian sugar industry! The theme is BROADENING OUR HORIZONS –asking delegates to step over the Great Dividing Range and look around, interact with others, learn and listen in novel environments, and partake in the updated format of our conference. As indicated in their recent First Announcement and Call for Papers and Posters, we have encouraged submissions to demonstrate relevance to the sugar industry through impacts on Optimal use of resources, Productivity and profitability, Problem-solving, and/or Our people. This will occur in three full days of presentations and discussions (some science-focused and technical in nature, others more practical and/or commercially-focused) and a half-day of separate field trips for agriculture and manufacturing delegates. The goal of this meeting is to highlight leading edge protein science, irrespective of its focus. The meeting includes oral and poster presentation sessions, a young investigator session, trade workshops, social events and trade displays. The Histology Group of South Australia and its organising Committee warmly invites delegates, presenters and trade representative to Adelaide, South Australia for the 9th National Histology Conference. The event will be held at the Adelaide Convention Centre on the weekend of 24–26 May 2019. The theme is “Diagnosis to Prognosis & Beyond” which will see delegates experience a range of workshops and educational, plenary sessions over the three days to provide continuing education and professional development to those within the medical science, clinical and research fields. Modern equipment and consumables will also be showcased by trade sponsors and a range of social activities to indulge in what our great city has to offer. ISCT is a Society for everyone, bringing together research scientists, technologists, clinicians, regulatory affairs and industry partners, all with the common goal of providing worlds’ best therapies for patients. It is a Society that aims to educate, collaborate, translate research to therapies and foster the development of students and early stage professionals. The ANZ region of ISCT is comprised of members who are energetic, enthused and engaged. ADIAPC educational programmes are dynamic, diverse and inspirational. A look over the meeting programme will highlight the range of topics we have curated for registrants brought to you by an outstanding array of international and Australasian speakers. In addition to practicing pathologists there is much in the programme of interest and value to pathology trainees. The ACV conference is a major initiative in the AVA’s comprehensive annual Continuing Professional Development Program for 2019 and showcases the latest trends in bovine veterinary practice. You will also find out about the latest products and innovations at the trade exhibition. Boasting three full days of world-class scientific sessions accompanied by an array of unrivalled networking opportunities and an extensive social program, the ACV Conference continues to be the highlight of the Australian Cattle Vet calendar. Join us for the inaugural 2019 Australian Biosecurity Symposium on the Gold Coast from 12-13 June 2019. Hosted by Animal Health Australia and the Invasive Species Council, the symposium theme will be biosecurity prevention and will focus on: biosecurity practices innovations and ‘out of the box’ thinking the exchange of knowledge and ideas from different sectors, including agriculture (animals and plants), invasive species, weeds, wildlife, aquatics and the environment. The Institute of Instrumentation, Control and Automation (IICA) is pleased to provide you with the details of our 2019 Technology Expo Program. The IICA has been increasing our profile in the market and we are seeing some fantastic results with record attendances and new exhibitors. 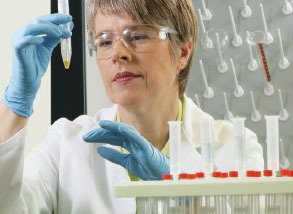 Thermo Fisher Scientific regularly run showcases and workshops. If there is anything of particular interest to you, register your interest here.